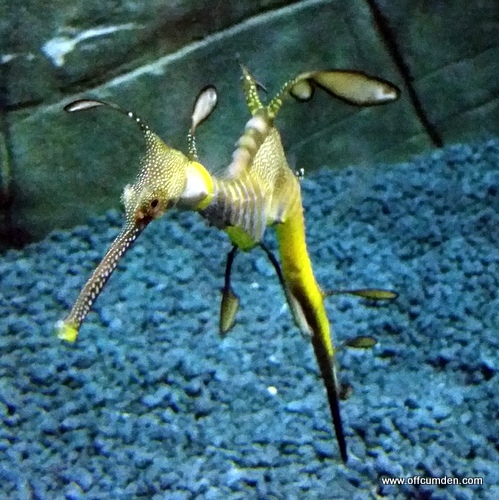 The creature which I found the most fascinating was the weedy sea dragon. Seriously, these are incredible creatures. They look like something in a Julia Donaldson book! 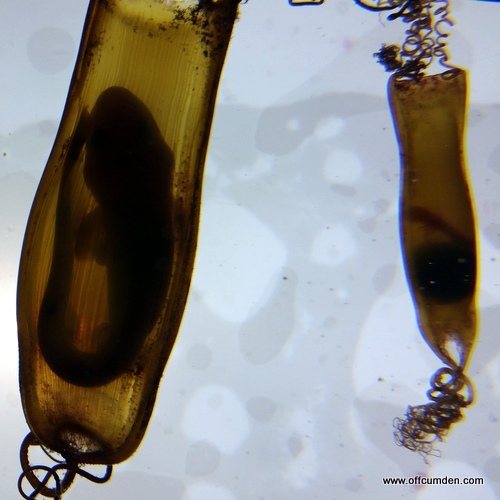 I didn't get a chance to see what these were inside these pods, but they were also completely fascinating! 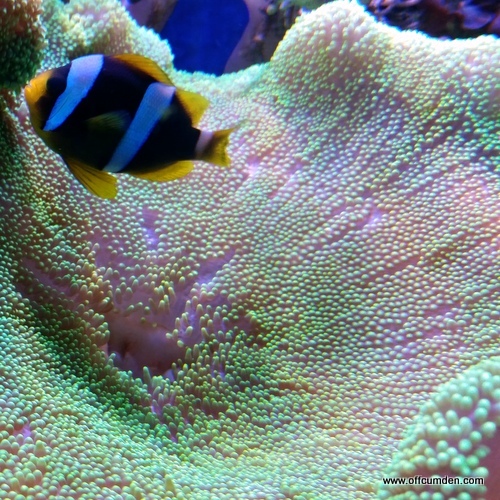 I have never seen coral like this before, it was so colourful and this picture really doesn't do it justice! I loved the coral reef area near the exit and could have spent hours looking at the fishes and the different types of coral. 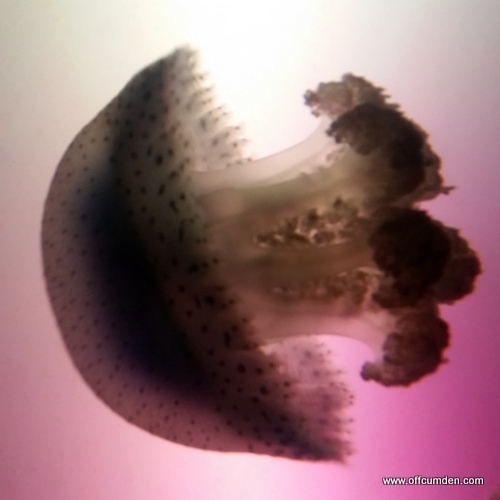 My daughter adored the jellyfish, and I totally understand why. They are captivating, absolutely mesmerising. The way their tanks are displayed is wonderful too. The fact that the lights change on them and then the jellyfish appear to change colour is very pleasing to see. 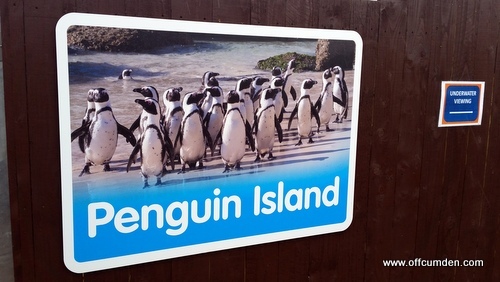 Then we came to Penguin Island, which features a first for SEA LIFE Europe because it contains the first ever walk through penguin area! 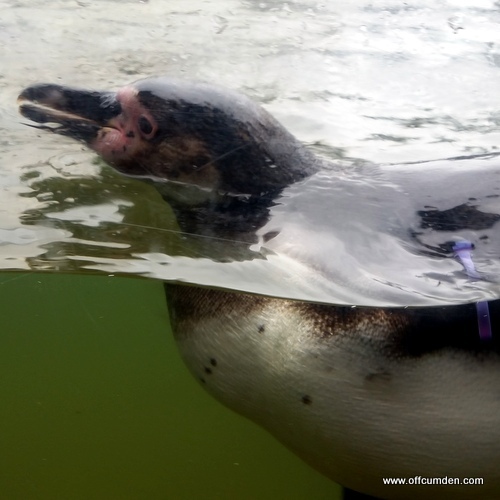 This means that you can walk through the larg colony of Humboldt penguins. This was great fun, although all the penguins were pretty far away from us. The staff explained that the penguins were having their morning swim. Once we got down to the underwater viewing area, the penguins came to life! They were really inquisitive and were following the children's hands along the glass. 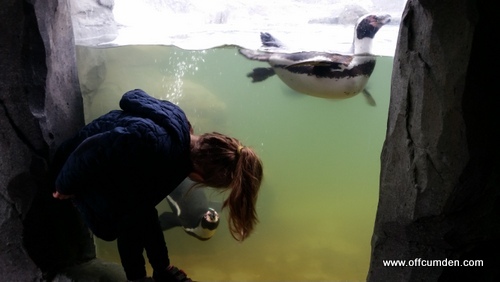 This particular penguin took a shine to my daughter and she was amazed at how close she could get to the penguins! 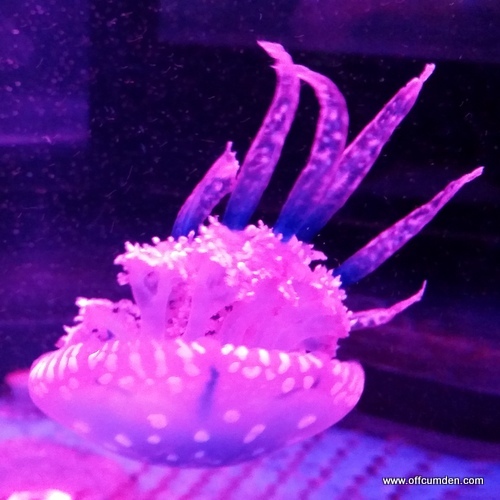 We had a fantastic time at Sealife Scarborough and I would highly recommend a visit if you are in the area. 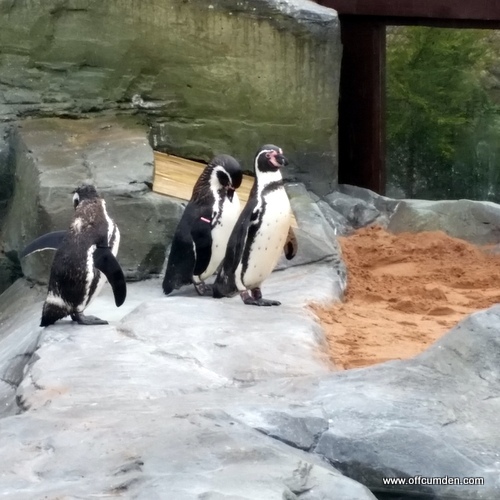 My only criticism was that it wasn't very well signposted between the penguin area and the seals, so we ended up wandering round trying to find itThis was our first ever trip to Scarborough and we really enjoyed it. Such a lovely area and the beaches were clean and the beach huts vibrant! We will definitely be going back to Scarborough in the future. Here's my vlog of our day out. Disclosure: We were provided with a complimentary family ticket for the purpose of this review. This had no impact on my post, which is honest and fair.